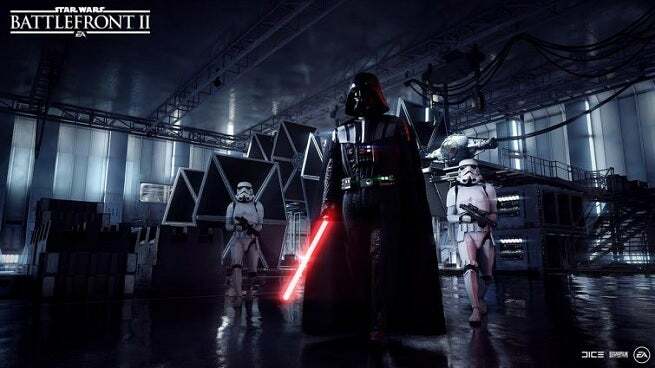 EA recently responded to some concerned players who complained about having to unlock some of Star Wars’ most iconic characters before playing as them in Star Wars Battlefront II. Qualms about Star Wars Battlefront II’s microtransactions and the time it takes to unlock content have been on the rise since EA Access players have been able to access the game early, and while EA has been responding to some of the concerns, their latest explanation about locked content isn’t being taken well. One player who was looking forward to unleashing the most powerful characters in the Star Wars universe such as Darth Vader was dismayed to see that Vader was locked behind the most expensive tier of heroes right alongside Luke Skywalker. Taking the complaint to the Star Wars Battlefront subreddit, the player received a response from the EACommunityTeam account. “The intent is to provide players with a sense of pride and accomplishment for unlocking different heroes,” the response from EA read. The cost that the response referred to was the 60,000 credits it’ll take to unlock both Luke Skywalker and Darth Vader, an amount that’s earned in no short amount of time. A recent breakdown of the credit-earning potential in Star Wars Battlefront II revealed that players would have to put in just under 40 straight hours of gameplay to earn enough credits to unlock two of the most memorable Star Wars characters, and that’s assuming that you don’t splurge on anything else with your credits. EA’s response from the Community Team ended by saying that they “appreciate the candid feedback, and the passion the community has put forth around the current topics here on Reddit, our forums and across numerous social media outlets” and would continue to monitor feedback and make changes where necessary.